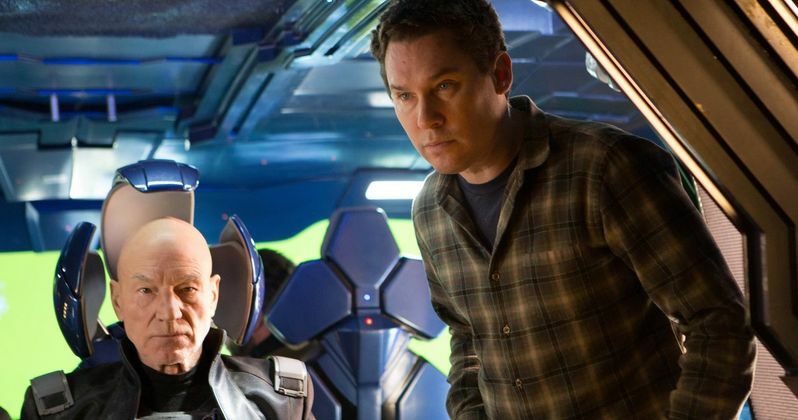 While Bryan Singer was believed to be directing X-Men: Apocalypse early on in the pre-production process, a number of sexual allegations filed against the filmmaker behind X-Men, X2: X-Men United and X-Men: Days of Future Past made his participation unclear. It has now been confirmed today by 20th Century Fox that Bryan Singer will be back to helm this latest addition in the Marvel mutant franchise. Fox closed the deal this week, marking Bryan Singer's fourth time behind the camera for the X-Men franchise. His last installment, this summer's X-Men: Days of Future Past, has pulled in $746 million at the global box office. The new film is being written by Simon Kinberg (X-Men: Days of Future Past; The Fantastic Four reboot) from a story he created along with Bryan Singer, Michael Dougherty (Superman Returns), and Dan Harris (Trick 'r Treat). Lauren Shuler Donner is back to produce alongside Bryan Singer, Simon Kinberg and Hutch Parker. X-Men: Apocalypse will take place a decade after X-Men: Days of Future Past and is described as the seamless next step in the ongoing storyline. The time altering plot of the previous film has unleashed a new and uniquely powerful enemy. Charles (James McAvoy), Erik/Magneto (Michael Fassbender), Raven/Mystique (Jennifer Lawrence), Wolverine (Hugh Jackman) and Hank/Beast (Nicholas Hoult) are joined by young Cyclops, Storm, Jean and others as the X-Men fight an ancient unrelenting force determined to cause an apocalypse unlike any in human history. New characters will be introduced, which may include Channing Tatum as Remy LeBeau, aka Gambit. X-Men: Apocalypse begins early next year, with a May 27, 2016 release date already announced. Will Avengers: Endgame Directors Take on Wolverine in Marvel Phase 4?